Books that teach the art of Consulting offer a great way of learning the ins and outs of Consulting and at a much lower price than taking, for example, a specialist Management Consulting Course or an Executive MBA Course. By reading a book, you consume a huge amount of research in a relatively short amount of time, and it is one of the best ways to improve your skills. The only problem is that there are a lot of Consulting Books in the market and there are much more to come. For instance, just doing a search for “Consulting Books” in Amazon results in more than 20,000 books about Consulting, so how do you make up your mind about what to read? You can do a google search and search for the Best Consulting Books but then you get hundreds of “Best of Lists” in front of you, so that doesn’t help a lot either unless you want to spend a full day going through all those lists. Well, that is exactly what we did! We searched for 50 “Best of Lists” highlighting the most recommended Books about Consulting and Management Consulting by various authority sites. Then we selected and combined the 20 most valuable “Best of Lists” and earmarked and ranked what Books About Consulting / Management Consulting keep up appearing on most of those recently published lists. 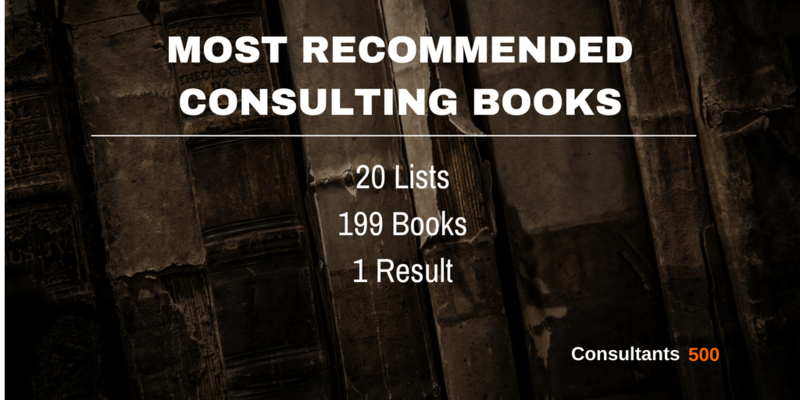 From a total of 199 books reviewed and ranked, here are the Top 20 of Most Recommended Consulting Books that appear on most of the Best Consulting Books lists! As we are a small business ourselves, we use this list as well for educating and inspiring our minds and for optimizing our Consultants 500 platform. And in case you didn’t know yet, on our platform you can search for all types of Consulting Experts all over the world. Finally, if you are a Consulting Expert yourself, you can always register for free if you want to, it’s all up to you. See here how it works. Listed 10 out of 20 times. Ethan M. Rasiel was a consultant in McKinsey & Co. s New York office. His clients included major companies in finance, telecommunications, computing, and consumer goods sectors. Prior to joining McKinsey, Rasiel, who earned an MBA from the Wharton School at the University of Pennsylvania, was an equity fund manager at Mercury Asset Management in London, as well as an investment banker. Listed 6 out of 20 times. 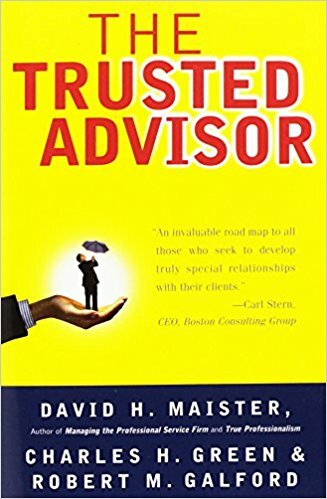 David H. Maister, one of the world’s leading authorities on the management of professional service firms, is the author of several successful books, including Managing the Professional Service Firm, True Professionalism, and Practice What You Preach, and coauthor of The Trusted Advisor. Charles H. Green is president of Trusted Advisor Associates, which focuses on trust-based client and customer relationships. An ex-consultant, he has taught in executive education programs at Columbia and Kellogg Business Schools. Robert Galford, who has taught at Columbia and Kellogg as well, is a managing partner of the Center for Executive Development. Listed 7 out of 20 times. 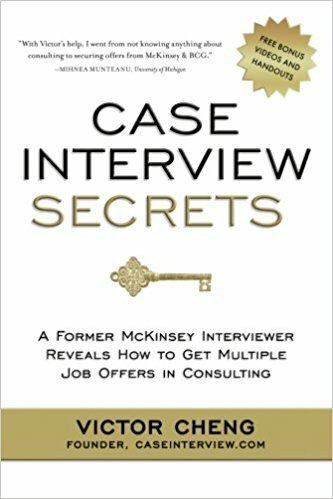 As a former McKinsey consultant, résumé screener, and case interviewer, Victor Cheng mentors thousands of aspiring consultants via his articles and videos at www.caseinterview.com. As a candidate, he passed 60 cases and received job offers from McKinsey, Bain, Monitor, LEK, AT Kearney, and Oliver Wyman. At McKinsey, he was rated in the top 10 percent of consultants worldwide in his cohort. Today he advises Inc. 500 CEOs. Listed 7 out of 20 times. Barbara Minto attended the Harvard Business School, in the second class to admit women. In 1963 she joined McKinsey & Company the international management consulting firm, as their first female consultant. 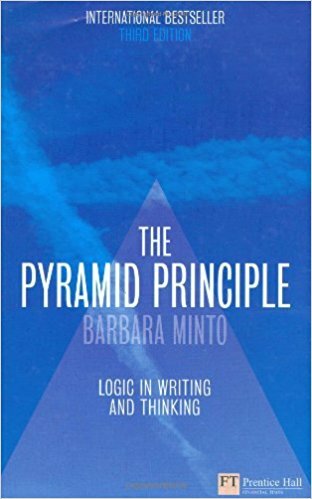 Barbara Minto developed The Pyramid Principle through her early years as a consultant at Mckinsey & Company, Inc. She now runs her own consultancy, International, Inc., specializing in teaching the pyramid principle to people whose major training is in business or the professions. She has taught her course to most of the major consulting firms in the world’s largest corporations and government organizations. Listed 8 out of 20 times. Peter Block is an author and consultant whose work is about empowerment, stewardship, chosen accountability, and the reconciliation of community. He is the author of several best-selling books, including the first two editions of Flawless Consulting, Stewardship, Community, and The Empowered Manager. He is a partner in Designed Learning, a training company that offers his personally designed workshops that help to build the skills outlined in his books. Listed 7 out of 20 times. Tim Koller is a partner in McKinsey’s New York office. Tim has served clients in North America and Europe on corporate strategy and issues concerning capital markets, M&A transactions, and value-based management. He leads the firm’s research activities in valuation and capital markets issues. He received his MBA from the University of Chicago. Marc Goedhart is an associate principal in McKinsey’s Amsterdam office. Marc has served clients across Europe on portfolio restructuring, issues concerning capital markets, and M&A transactions. He received a Ph.D. in finance from Erasmus University Rotterdam. David Wessels is an adjunct professor of finance and director of executive education at the Wharton School of the University of Pennsylvania. Named by Business Week as one of America’s top business school instructors, he teaches corporate valuation at the MBA and Executive MBA levels. David received his Ph.D. from the University of California at Los Angeles. Listed 5 out of 20 times. Dan Roam is the author of the international bestsellers “The Back of the Napkin” (Fast Company’s Innovation Book of the Year, The London Time’s Creativity Book of the Year, and Amazon’s Top 5 business book of 2008) and “Blah Blah Blah: What To Do When Words Don’t Work.” Dan is the founder of The Napkin Academy, the world’s first online visual-thinking training program. www.napkinacademy.com Dan has helped leaders at Microsoft, Boeing, eBay, Kraft, Gap, IBM, the US Navy, the United States Senate, and the White House solve complex problems with simple pictures. Listed 6 out of 20 times. For more than forty years, The Boston Consulting Group has been shaping strategic thinking in business. The Boston Consulting Group on Strategy offers a broad and up-to-date selection of the firm’s best ideas on strategy with fresh ideas, insights, and practical lessons for managers, executives, and entrepreneurs in every industry. Listed 7 out of 20 times. 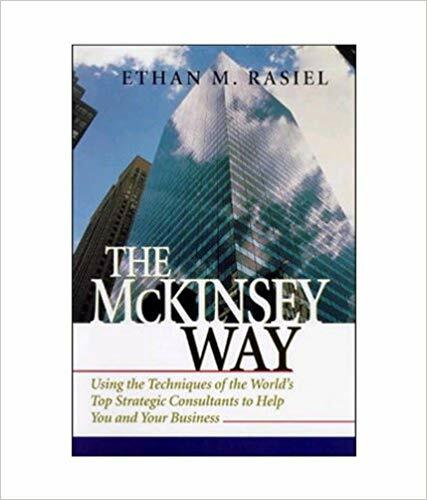 Ethan M. Rasiel was a consultant in McKinsey & Co.’s New York office. His clients included major companies in finance, telecommunications, computing, and consumer goods sectors. Prior to joining McKinsey, Rasiel, who earned an MBA from the Wharton School at the University of Pennsylvania, was an equity fund manager at Mercury Asset Management in London, as well as an investment banker. Paul N. Friga worked for McKinsey & Co. in the Pittsburgh office after receiving his MBA from the Kenan-Flagler Business School at the University of North Carolina. He has conducted consulting projects relating to international expansion, acquisition and strategic planning, education, water, and other industries. Listed 4 out of 20 times. Marcel van Assen is a senior consultant at the Operations Management group of Berenschot. His industrial consulting experience covers various manufacturing, supply chain, and strategic issues, from operational excellence, outsourcing & contract manufacturing to value-innovation based on strategic conversation, road mapping and foresight. Gerben van de Berg studied business administration at the University of Groningen. He works at Berenschot as a consultant in the Business Strategies group. He is a co-author of the book Excellence = optimization and innovation and (co)author of several articles concerning strategic management. Paul Pietersma MSc. BA is a strategy consultant and managing director of Business Strategies at Berenschot. He has more than 10 years of experience in the consultancy business in which he advised many CEO’s and boards of directors on various strategic issues. Listed 3 out of 20 times. Alan Weiss is the founder and president of the renowned Summit Consulting Group, Inc. The only non-journalist to receive the Lifetime Achievement Award by the American Press Institute, he is an inductee into the Professional Speaking Hall of Fame and the concurrent recipient of the National Speakers Association Council of Peers Award of Excellence. He has written 60 books that have been translated into 12 languages. Listed 3 out of 20 times. Michael E. Porter, one of the world’s leading authorities on competitive strategy and international competitiveness, is the C. Roland Christensen Professor of Business Administration at the Harvard Business School. In 1983, Professor Porter was appointed to President Reagan’s Commission on Industrial Competitiveness, the initiative that triggered the competitiveness debate in America. He serves as an advisor to heads of state, governors, mayors, and CEOs throughout the world. The recipient of the Wells Prize in Economics, the Adam Smith Award, three McKinsey Awards, and honorary doctorates from the Stockholm School of Economics and six other universities, Porter is the author of fourteen books, among them Competitive Strategy, The Competitive Advantage of Nations, and Cases in Competitive Strategy, all published by The Free Press. He lives in Brookline, Massachusetts. Listed 3 out of 20 times. Dale Carnegie was born in 1888 in Missouri and educated at State Teachers College at Warrensburg. As a salesman and aspiring actor, he traveled to New York and began teaching communications classes to adults at the YMCA. In 1912, the world-famous Dale Carnegie Course was born. Dale Carnegie’s company became incorporated as Dale Carnegie & Associates, Inc., in 1954. Dale Carnegie passed away a year later, leaving his legacy and a set of core principles to be disseminated for decades to come. The company now operates in over eighty countries. Listed 4 out of 20 times. For the past two decades, Marc Cosentino’s work has towered over the field of case interviews. The Wall Street Journal calls his book Case in Point the MBA Bible which is one of the many reasons why Cosentino is the world’s foremost authority on case interviewing. He is CEO of CaseQuestions.com and a popular and sought-after speaker. Over the past 28 years, he has advised and coached over 100,000 students and alumni. Case in Point is not only the number one selling casebook worldwide but is also the number two selling interview books worldwide and the top book in the field of consulting as well. Listed 4 out of 20 times. W. Chan Kim works at The Boston Consulting Group and is the Bruce D. Henderson Chair Professor of Strategy and International Management at INSEAD and an advisory member for the European Union. Renee Mauborgne is an INSEAD Distinguished Fellow and a professor of strategy and management and a Fellow of the World Economic Forum. Listed 3 out of 20 times. James C. Collins is a student and teacher of enduring great companies – how they grow, how they attain superior performance, and how good companies can become great companies. The author of the national bestseller Good to Great, his work has been featured in Fortune, the Economist, USA Today, and Harvard Business Review. Jerry I. Porras is the Lane Professor of Organizational Behavior and Change, Emeritus, at the Stanford University Graduate School of Business where he has served as associate dean for academic affairs and as the director of several executive programs on organizational change. Listed 5 out of 20 times. Walter Kiechel has been the editorial director of Harvard Business Publishing and the managing editor at Fortune magazine. He has written articles and columns on all aspects of business and is the author of a previous book, Office Hours: A Guide to the Managerial Life (Little, Brown, 1989). He received AB, MBA, and JD degrees from Harvard, and served five years in the U.S. Navy. Listed 5 out of 20 times. Jim Collins is the co-author of Built to Last, a national bestseller for over five years with a million copies in print. A student of enduring great companies, he serves as a teacher of leaders throughout the corporate and social sectors. Formerly a faculty member at the Stanford University Graduate School of Business, where he received the Distinguished Teaching Award, Jim now works from his management research laboratory in Boulder, Colorado. Listed 4 out of 20 times. Alan Weiss is a consultant, speaker, and bestselling author. His firm, Summit Consulting Group, Inc., has consulted with such clients as Merck, Hewlett-Packard, GE, and Mercedes-Benz, among many others. His thirty other books include the bestseller Million Dollar Consulting. For more information, contact him at his blog, www.contrarianconsulting.com, or Web site, www.summitconsulting.com. Listed 3 out of 20 times. Paul N. Friga, Ph.D., worked with McKinsey & Co. at its Pittsburgh office as an associate consultant. He holds an MBA and a Ph.D. in strategy from the Kenan-Flagler Business School at the University of North Carolina and has conducted numerous consulting projects throughout his career and continues to work with Fortune 500 companies throughout the world. He has also worked for PricewaterhouseCoopers as a management consultant and continues to research the consulting industry. Dr. Friga is an associate professor at the Kenan-Flagler Business School, where he teaches courses in management consulting and strategy. He also serves as the director of the consulting concentrations. Harvard Business Review – The latest publications from the famous Business School. McKinsey Featured Insights – Latest thinking on issues that matter most in business and management according to this well known Consulting Firm. McKinsey Quarterly – Each week, the Five Fifty offers readers “a quick skim in five—or a 50 minute deeper dive” on a wide range of management topics from the same well known Consulting Firm. Bain Insights – Regular publications and insights from another well known Consulting Firm. BCG Henderson Institute – Insights, ideas, views and news from another key player in the Consulting Industry. It’s always fun to see Consulting Firm rankings. Quickly find the Top Global & Regional Management Consulting Firms ranked basis revenue, salaries paid, the number of partners, prestige, working environment and much more. We have listed the most trusted and useful Top Global & Regional Management Consulting Firms Ranking resources for you in a curated and structured way, as you can find here. Join the Q&A conversation about What Are Your Favorite Books for Consulting? Later on, we will share the results via Knowledge Resources, so you can quickly find the best Books about Consulting on the web as suggested by our users and visitors. Via our Consulting Briefing Room, the Top Resources on the web are followed and only the most shared content is shown in relation to Consulting. You can filter all the content for the last 24 hours, 3 days, 1 week, 1 month, 3 months, etc so you can easily find and stay up to date with the latest developments. More than 75% of potential Clients who look for Local Consulting Services start a Web Search to find the best Consulting Professional for the Job. Because the internet is by far the leading channel, it is critical that your business can be easily found on the internet. Creating a profile on our Platform is free and opens the door to new opportunities, it can be done in only a few minutes and without any credit card. Easily find and compare highly qualified Consulting Experts with all sorts of backgrounds by searching our Platform, which can be local Strategy Consulting Firms, a Strategy Consultant or it can be Freelance Consulting Experts. Directly contact and work with your ideal candidate in any way you like. Searching is always free, and that also means that we never charge any transaction type of fees. We made a list of 50 posts that we recently published about “Best Consulting Books” to read. 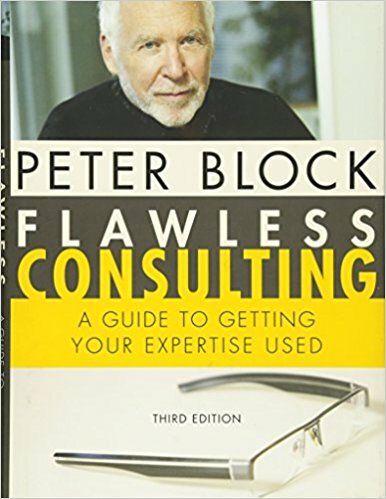 We combined the 20 lists of “Best Consulting Books” and earmarked all individual books that were on those lists. All lists were summed up, and the Consulting Books with the lowest number was ranked 1, 2, 3, etc. This resulted in the final “The 20 Best Consulting Books” that have been recommended most times by all types of consulting experts. What Should I Read If I Am Interested In Consulting? Recommended reading list for aspiring management consultants?